Here in the United States, we have 150 years of research in the field of education, however hardly any of it is being applied to youth sports. But why? Young athletes are students of the game, while coaches become their educators. Oftentimes, parents have the same high expectations for their kids in school as they do on the ballfields. At iSport360 we believe in applying best practices from the classroom to the ballfields, courts or rinks and we’re providing coaches, parents and kids the tools to do it. The beginning of the school year always starts with Back-to-School Night, the perfect opportunity for a teacher to set expectations, an agenda and the tone for the year. I like to use the same strategy with the teams I coach. Before each season, I typically get the team parents together to set the tone and talk about goals for the kids. I always emphasize skill development; however, I also remind parents that encouraging life skills, fun and a love of the game are equally important. I also set the important expectations that parents should not coach from the sidelines. It’s not that I’m a control freak. Countless studies have taught us all the reasons why kids benefit when their parents stay quiet on the sidelines. (More on this topic in another article.) The most important point is to use a “Back-to-School Night” to get coach and parents on the same page. Every school holds periodic parent-teacher conferences so teachers can share feedback and get parents to help in areas where their kids need it most. Since most school districts now have an online parent portal, there’s no excuse for parents and teachers to not be on the same page. If parents and teachers are collaborating to accelerate student achievement, why are we not applying this in youth sports? Parent-coach conferences do happen at the ballfields; however, they are usually of the “unscheduled” variety where a heated parent confronts a coach to find out why their kid didn’t get more playing time or didn’t make the travel team. Coaches HATE this. So, let’s apply what we know works in the classroom. 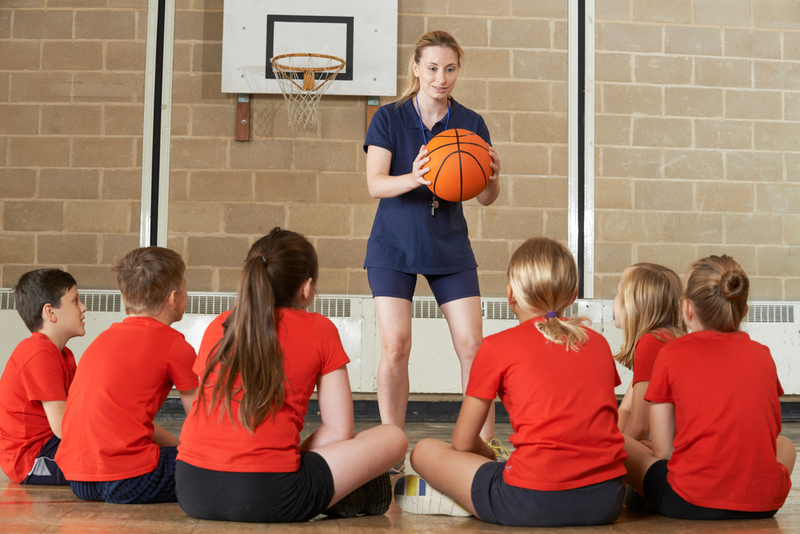 Proactive player feedback and regular coach communication would do wonders for coaches and parents, as well as helping to avoid the dreaded coach-parent arguments. And with all of the great youth sports software coming to market, we now have “parent portals” for youth sports. TeamSnap is the leading platform for managing communication, rosters, schedules and more! iSport360 is the first-ever platform for coaches and parents to share objective player feedback. Could you imagine if your child’s school told you they would no longer be sharing report cards, test scores or quiz scores with you? Would you ever accept that? Then why do we pay thousands of dollars for our kids’ youth sports programs and accept coaches that do not provide objective assessments and feedback? I’m not suggesting the goal of assessments should be a college scholarship for our kids, but rather to obtain feedback in order to know where we can help our kids build their skills. Every state in the US subscribes to federal or local education standards to ensure that students are on a path to success. In fact, educators are trained to tie their curriculum, tests and quizzes directly to the core standards. Why then don’t we have core standards in youth sports? Wouldn’t it help to have some guidelines that are specific to sport, age and gender to help us guide our kids? Today, every coach and trainer in the US is teaching to a different set of skills that he/she has in their head. Certainly when they are assessing players at tryouts, they are not using any consistent, objective, transparent standards. It’s no wonder tryout season is the most terrifying time of year for the kids and their parents. Ian Goldberg is the Founder and CEO of iSport360, an early stage SportsTech company that is helping youth sport coaches and parents share objective player feedback. He is a thought leader and fervent believer in the power of ongoing feedback and how it can improve the youth sports experience for coaches, parents and kids. Try the iSport360 app here, the first-ever mobile app for coaches and parents to share objective feedback on their players.